Even as Obama persists in threatening military strikes against Syria, he continues to menace Iran. In both cases the US bellicose posture is legally unjustified. In both cases the US has provided no evidence which would warrant a military assault. In both cases the US lacks UN Security Council approval, or lawful legitimacy of any kind to initiate a war. The situation with Iran is clearly another instance where Obama has run with war policy initiated by the Bush Administration. In the wake of the ongoing disaster in Iraq, one would think that his controllers would have learned by now. However, as General Wesley Clark so categorically pointed out, this plan to take out 7 countries in the Middle East has been planned for years. It has now become apparent that Obama was quite purposefully chosen to put a smiley face on American aggression. Naked military aggression is never easy to watch. However, with Obama (just as they used Colin Powell) they gave him a Nobel Peace Prize and told him to have at it. In fact he has advanced their agenda in ways that only a pseudo-liberal, progressive Democrat could have accomplished. How else might the war protests been stifled so successfully … everywhere across America?! The not-so-well-known aspect of this immoral war being waged against Iran is that the economic front is inflicting massive damage on the Iranian people. Just as the shameful sanctions against Iraq under Clinton killed millions of children, the US-Israeli strategy is to wear down Iranian society until they are sufficiently weakened to attack. In the execution of their plan to bankrupt Iran, the US et al. failed to anticipate the number of countries who would come to their aid. Nations like India and Pakistan, Russia and China, Venezuela and Brazil, Afghanistan and even Iraq have opened their arms to Iran. The BRICS economic union has been particularly supportive in pulling away from the petrodollar as the world’s reserve currency. Why would these nations shun such a large export market in Iran, especially those which share borders? The current American policy toward the entire Mideast can be much better understood in this way. Take out (or co-opt) each country that is contiguous to Iran, install military bases in them, and the rest will be history. The whole Syria debacle is a perfect example, however, how this long term strategy can and will go awry. Particularly when Russian interests run counter to those of the Western powers do we see serious problems ahead. In fact, much interference with their ill-conceived and tremendously destructive scheme has been occurring 24/7 since the engineered conflict began in Syria. Syria is not civil war. It is a “war by proxy” waged by the usual suspects (USA, UK, France, Israel, etc.) to open up a gateway from the Mediterranean to Iran. It represents not only an outright aggression against an innocent nation, but also a major maneuver on the geo-political chess board known as the Great Game. Who is the USA to tell Iran that they cannot build nuclear power plants? 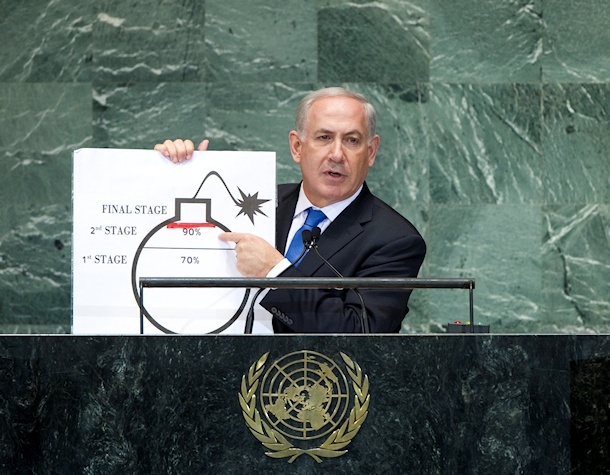 Who is Israel to say that Iran cannot develop a nuclear power program? On what basis does the EU withdraw their business from Iran … because they are pursuing nuclear energy? How does Japan give into the childish demands of the US-UK juggernaut about atomic power when they had 55 nuclear power plants going at one time (pre-Fukushima, of course). The overt hypocrisy is as overwhelming as it is unprecedented in modern history. Here is Israel with a nuclear arsenal in its possession telling another nation that they cannot even construct nuclear power generation capacity. Ditto such an audacious double standard for the US, UK, France, Germany, as well as other NATO nations. • Iran has seen it’s top nuclear scientist killed by foreign agents. • Iran information technology infrastructure has been attacked by the US and Israel. • Iran has been boldly spied on by way of drones sent to and inside their borders by the CIA and DIA. 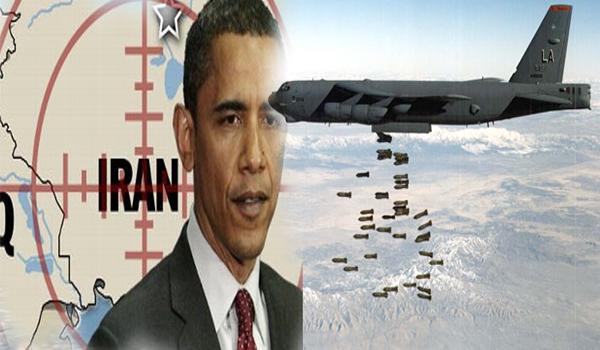 • Iran has been threatened repeatedly with military assaults on its nuclear programs based on false accusations. • Iran has been the victim of numerous unethical economic sanctions which would have brought down a less resourceful and resilient nation. • Iran’s oil and gas industry has been isolated and stigmatized so that it’s normal activities have been virtually paralyzed at times. The whole scenario, by the way, is very similar to how the Western powers isolated and attempted to bankrupt Germany (known as the Economic Boycott of 1933) in the run up to World War II. Germany had been unjustly targeted by a worldwide boycott because of how much economic power they were amassing. As independent thinkers (and doers) they usually chose to do things their own way, which often ran counter to wishes of the global power structure. Of course, there is Israel again inciting war at every turn. Whether it is murdering Iranian scientists, infecting their defense computers with viruses or threatening to bomb their nuclear lab facilities, Israel and the US never cease to play the global bullies. Fast forward to 2013, and we see that Iran is in the very same position. And, being threatened by the very same belligerent nations who always want it their way. It appears that this one last time, the real aggressors will be taking the highway.